Hopefully, you’ve remembered to pay your taxes or file for an extension today — because the IRS most certainly won’t. Below, find other tax-related things for businesses to note in April and May for businesses, though we did include the April 15 and April 20 days for staffers’ benefit. This is by no means exhaustive of everything your business should do or every date it should know, and the list applies to the federal level only. We’d recommend any business a) use the interactive IRS Tax Calendar for Businesses and Self-Employed, the hard-copy Publication 509 calendar (this was the easiest to wade through, in our opinion) and this overview of 509; and b) talk to an accountant or the IRS directly to confirm this information and see if there’s anything else you need to know. Some small employers might have different dates apply to them or not be affected by some of these deadlines; check Publication 509 or talk to an accountant for more details. That out of the way, here’s some deadlines for April and May. Find our in-depth 2015 tax calendar for business owners here. 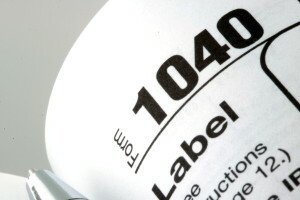 April 15: Date for some businesses to file their tax returns and pay up. Also, the date for most Americans (except those living or working abroad, according to Intuit) to file their taxes. April 20: Deadline for any American whose tax return was rejected but filed on time to refile and avoid a penalty.